The Bennington Police Department is comprised of two full-time officers, four part-time officers and three reserve officers. Its Command Staff includes Chief Lester Johnson and Sergeant Timothy Pittman. With its fleet of three police cruisers, and state of art equipment, officers provide protection to the citizens of Bennington and Douglas County through the established Mutual Aid assistance agreement. 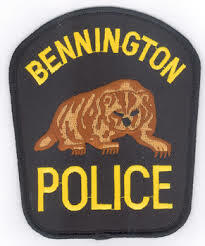 The many citizens involved in the Neighborhood Watch program also contributes to Bennington’s low crime rate. The Bennington Police Department remains committed to providing the finest professional law enforcement services to those that it serves.